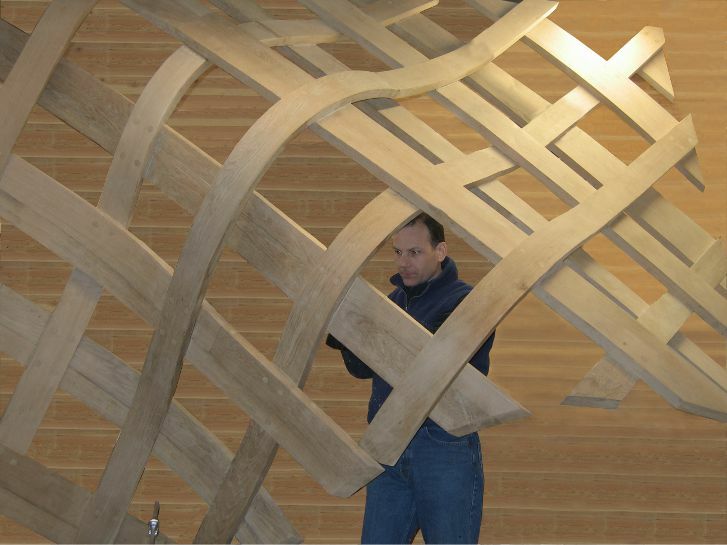 Pure Timber produces bendable hardwood and bentwood products and fabrications using a proprietary Extreme Wood Bending™ process that produces the worlds most dramatic and ambitions bentwood fabrications from thick, solid hardwoods. Pure Timber is owned and managed by Chris Mroz (BS, MS, MBA) in Gig Harbor, Washington, USA. Mroz has a background in both arts and sciences. A customer good naturedly accused Mroz of witchcraft in his ability to bend thick solid hardwood by hand. And his shop tends to resemble a combination science lab and witches brew, complete with boiling cauldrens - (the autoclaves), mysterious ticking and groaning machines (the wood presses) and wood that takes on most unnatural shapes.